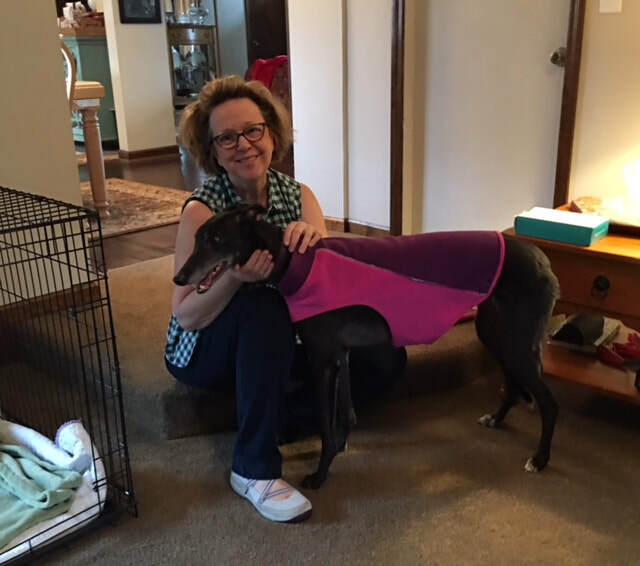 Karma is now known as Karman and has moved to Mason with Paula, who has wanted a greyhound, and when her sweet kitty recently passed she felt a greyhound could be a new friend. Karman is probably the smallest greyhound we have ever gotten off the track and being small doesn't match her big personality. She met Paula and laid her head in her lap. Definitely meant to be. She will be loved unconditionally like she so deserves.